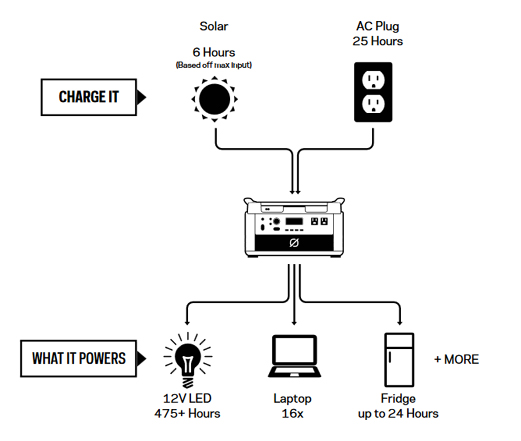 The Goal Zero Yeti 1400 Lithium Portable Generator Kit with Maximum Solar Capacity - 2 Boulder 200 Briefcases - V2 with Wi-fi is the next generation of portable, award-winning power. Engineered from the ground up, the Goal Zero Yeti Lithium is the one of the most versatile and innovative power stations on the market. Its built-in surge allowances and multi-stage protection means great compatibility with more devices ranging from lights to laptops, refrigerators to power tools, giving you the confidence to power anything, anywhere. 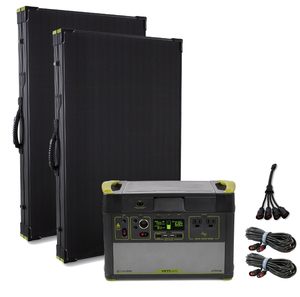 • The Boulder 200 Briefcase Solar Panel is waterproof and rugged terrain resistant. • Includes (2) Anderson to Anderson 15 ft Extension Cables and (1) Anderson Combiner Cable for optimal placement opportunities. 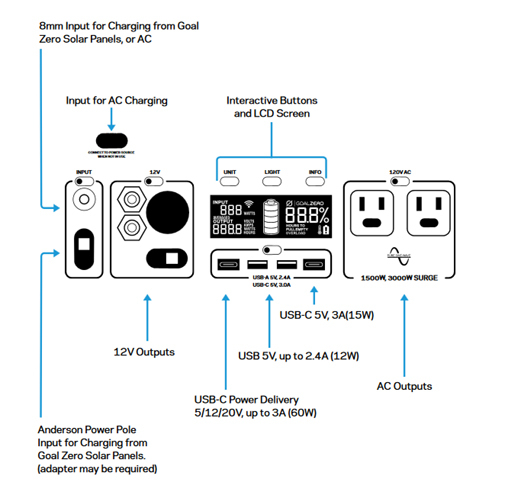 The Goal Zero Yeti 1400 Lithium can be charged by connecting the included solar panels. A great product. 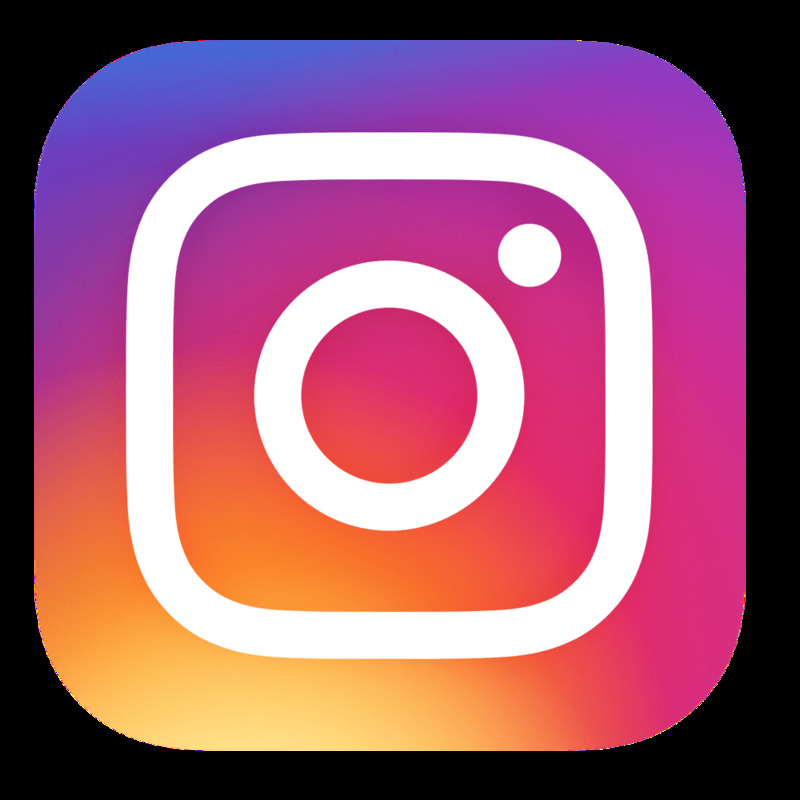 I use it to charge my wife's batteries for her oxygen concentrator. Even out boon docking ,with solar panels this works great. This is a peace of mind for both of us.